It’s not known for it’s beauty. It IS known for it’s traffic. We learned why during our 4 day stay in the capital city of Indonesia. 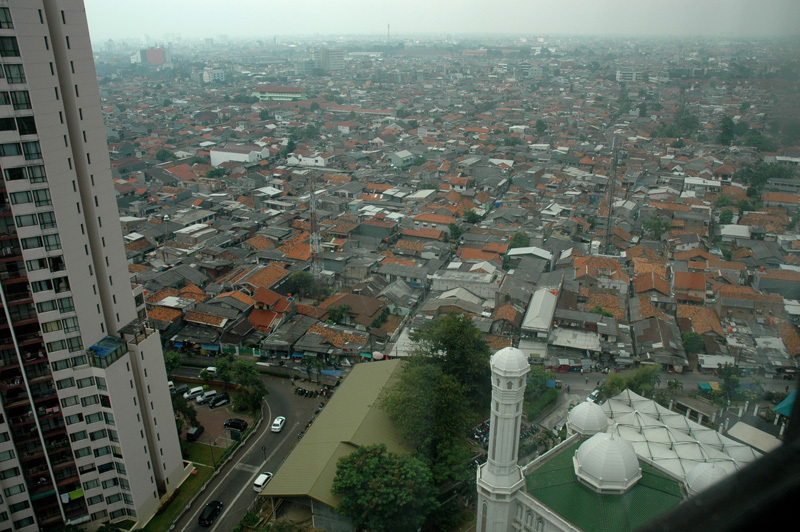 The view from our hotel room of downtown Jakarta. Our first day in Jakarta showed us the joys of big city traffic. It was horrible, like REALLY horrible. We basically went a half mile in 45 minutes, and that was just to get to a point where we could turn around in a median and reverse direction – aaaagh! So, it was only fitting that one of our first meetings was with the Lorena Group, a transportation company trying to fill the need for mass transit in the capital city and throughout the country of Indonesia. Lorena Karina is THE bus group in Jakarta. They are a private company started in 1971 with 1 bus and have been steadily growing ever since. 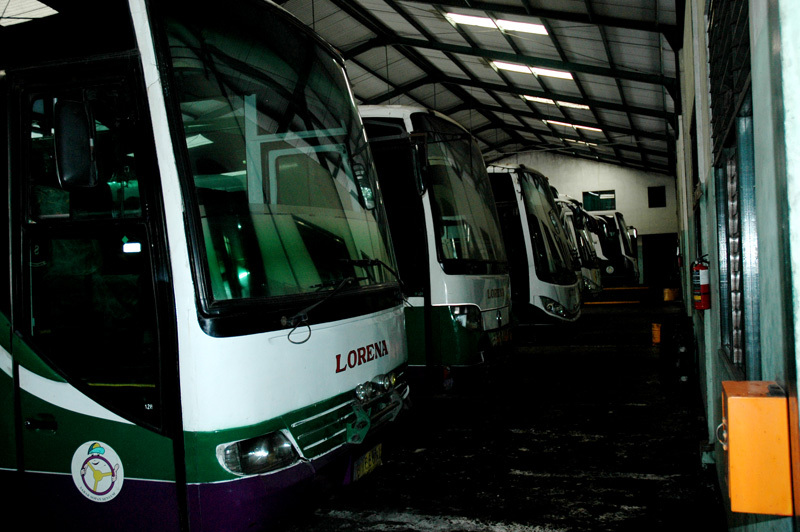 Based on the need Jakarta, and all of Indonesia, has for mass transit, the Lorena Group is one of the most important entities in the entire country. Congested traffic stops everything, and there is no real mass transit of any other kind, no subway or anything like that, so buses enable less cars (and scooters!) to clog up the roadways. 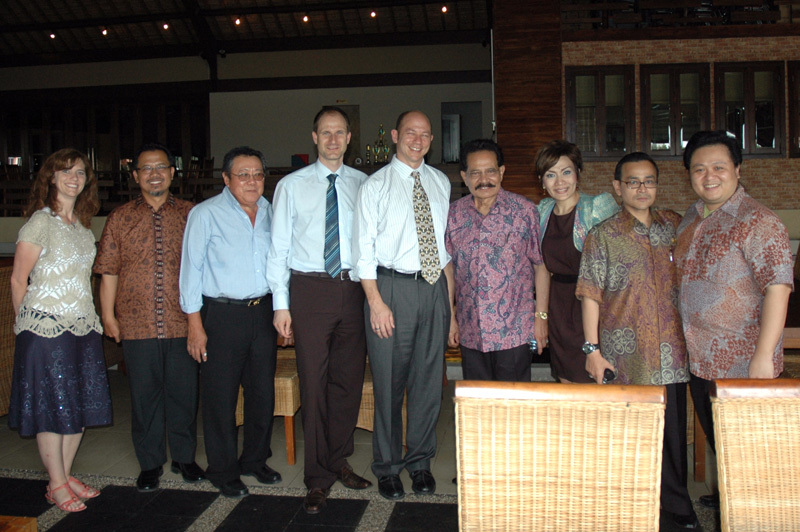 We had a wonderful lunch with the president, Mr. Soerbakti, his daughter Eka Lorena (who the company is named after, and who basically made our stay in Jakarta fun and inspiring through her introductions and explanations), Eka’s brother Ryanta who is a managing director and a member of Parliament, and a group from Mercedes who manufacture the buses. Eka is not only an influential leader of Lorena Group and of forward thinking momentum in transportation in general, she is also an Eisenhower Fellow, which is how Aly met her, and how we ended up going to Indonesia in the first place for Aly’s Fellowship. Thanks Eka!!!!!! Eka showing off the first bus of Lorena Karina. 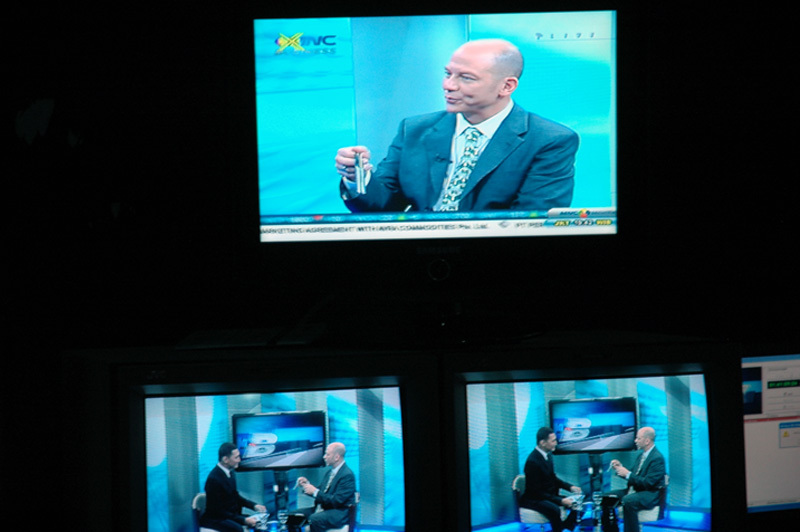 MNC Singapore, Aly Khalifa on the monitors! We arrived in Jakarta a few days before Ramadan and left the day Ramadan started.Jakarta felt diverse and cosmopolitan. The Mosque next door to our hotel was just one of many calls to prayer we heard in this primarily Islamic country. 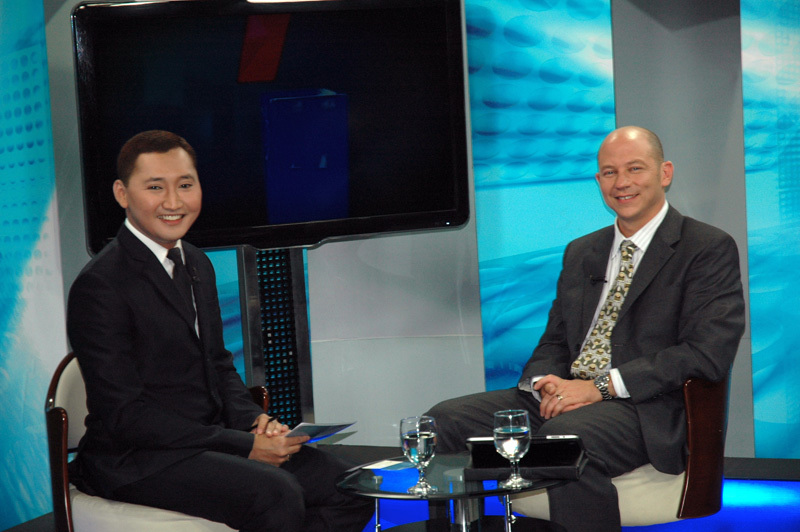 They were an audible reminder that Jakarta is close to 80% Muslim. The overall feeling in the city was much more subtle and business-secular than I expected, however. It was a sharp contrast to the very visible Hindu religion most of Bali practiced. It was very interesting and inspiring to go from a Hindu-centric Bali, to Muslim Jakarta, with a brief stop at a Buddhist temple in Yogyakarta. In each location, religion was a part of the culture, but no religion, whether the majority or minority, ever felt exclusive or threatening to any of the others (at least not to us outside visitors). Each felt integrated into life in an every day way. We left Jakarta for Singapore feeling inspired and at ease with the city, and assume we shall meet again in the future.